Today, I am giving you a Christmas Tour of my house! Top Left: Steve's Mom used to give him a Christmas book every year...and he just has to put them on display every year...drives me crazy, don't you think they would look cuter in a nice basket? 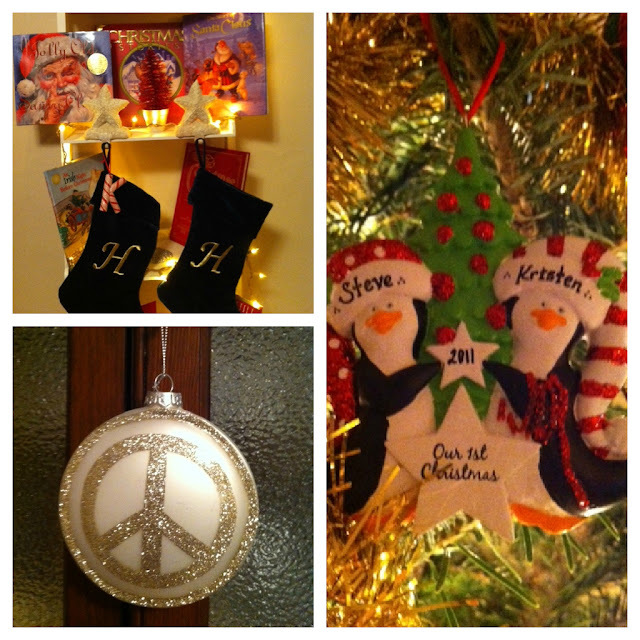 Bottom Left: My favorite Peace ornament, that is too large to fit on the tree. Right: Steve got me this ornament last year for our first Christmas! 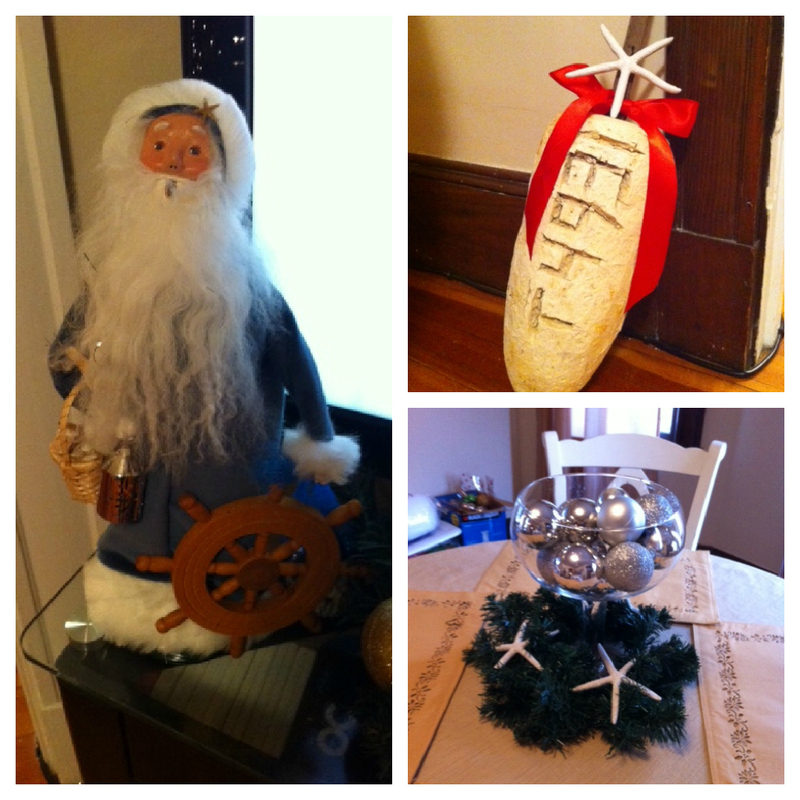 Did I mention that Steve's Dad gets him a nutcracker EVERY year too!? Above Pic: I made this garland from Clam shells that I had collected/hoarded and had no clue what to do with them. Add it to your Christmas garland and you have a beautiful, nautical decoration. The outside of our apartment. I wanted to get Garland for above the door and the railing, but I just don't have time....maybe next year!? Loving the peace sign ornament! How cute! Aww that clam idea is too crafty and cute! DYING Over the Nutcracker Collection! My mom likes the nutcrackers!! That is too funny how many he has though!! Cute ornament, Jamal and I started a tradition where every Christmas we buy each other an ornament. It's really fun. I love the clams! Such a great idea! beautiful Christmas house :) Merry Christmas!